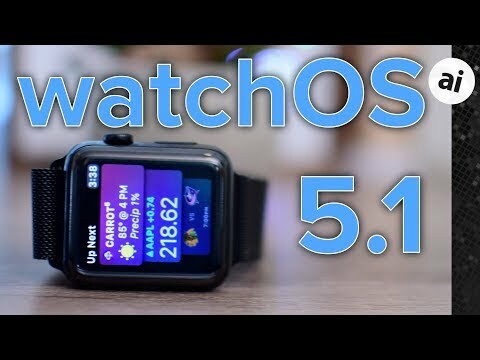 The first beta of watchOS 5.1 was released to developers on Tuesday and while we aren't able to test every feature quite yet, we do know a few things about the forthcoming update. This initial beta, weighing in at 155MB for our Apple Watch Series 3 with cellular connectivity, doesn't seem to have too much going on at first blush. Our most expected feature is ECG functionality, but as that is limited to the Apple Watch Series 4, we are unable to determine if it is included before Friday when the new wearable will be released. Group FaceTime has been reintroduced to the beta path in iOS 12.1, which means those calls can also be answered on Apple Watch. If users are unable to get to your phone, they can accept a Group FaceTime call on the Apple Watch and chat through voice before grabbing an iOS device and switching to video. We previously showed the four new watch faces that were included in watchOS 5 and it appears the color face has several new options as well. Likely to accompany the new color bands. Beta 1 of watchOS 5.1 was released alongside betas of iOS 12.1 and tvOS 12.1. Simple and some color variations on Nike faces.